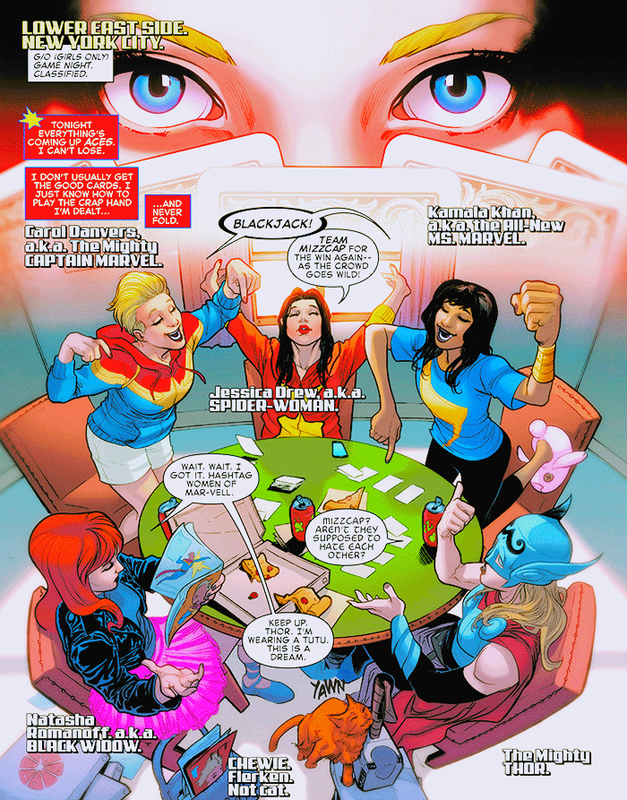 Natasha: This is the problem with super-powers. Always a big crutch. Power makes you people sloppy. Jen: I feel like we should help. 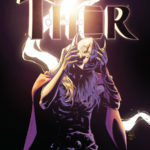 Thor: How, Jennifer Walters? Whack it with the hammer? Natasha: The humiliation— is real. 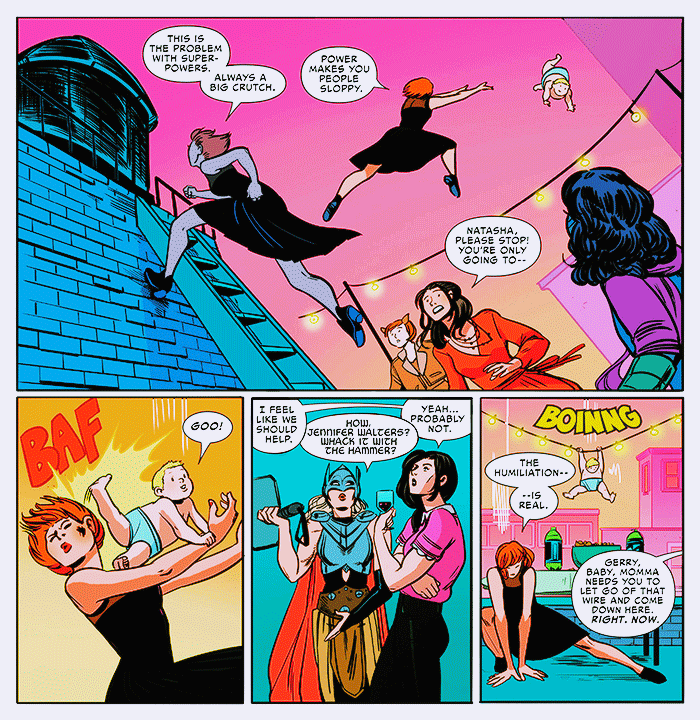 From Spider-Woman #17 by Dennis Hopeless and Veronica Fish. Jess: Team Mizzcap for the win again— as the crowd goes wild! Natasha: Wait. Wait, I got it. Hashtag Women of Mar-Vell. Thor: Mizzcap? Arent they supposed to hate each other? Natasha: Keep up, Thor. I’m wearing a tutu. This is a dream. From The Mighty Captain Marvel #0 by Margaret Stohl and Emilio Laiso / Ramon Rosanas. 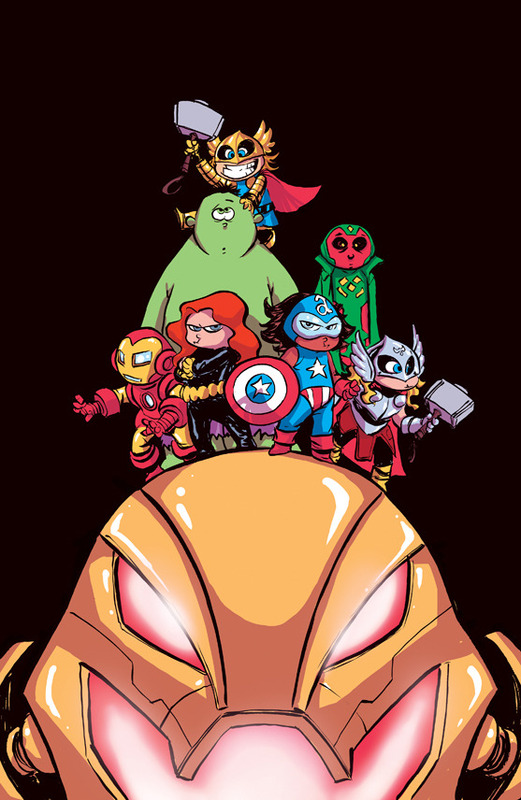 Giant-Size Little Marvel #3 by Jim Cheung and Laura Martin. 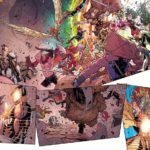 Via Teen Vogue, Marvel has just announced A-Force Anthology, “a series that focuses on the strength, courage, and power of Marvel’s female characters.” The announcement mentions that “Ms. 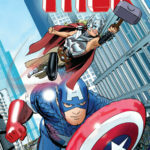 Marvel, Thor, Black Widow, She-Hulk, and more” will be included in the anthology. 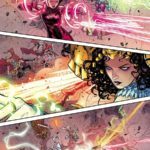 It seems like each collection will feature six titles from Marvel’s recent strong slate of female-led titles. 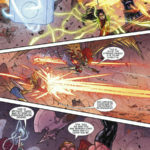 The previews make it clear that these aren’t new stories: the pages are from She-Hulk #1, Thor #1 and Ms. Marvel #1. So if you can’t pick this up but subscribe to all these books (like I do, natch) you won’t be missing anything. What this collection is looking to do, it seems, is group jumping on points for all these ladyhero books in one place. 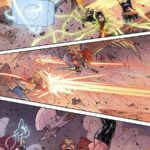 A-Force Anthology will be “hitting the YA section of your local bookstore,” meaning that it’s geared to an audience outside specialist comic book stores. I think this is great, since only people who read comics go to comic book stores. They’re a bad place to reach new readers, and can be unfriendly spaces for young women. 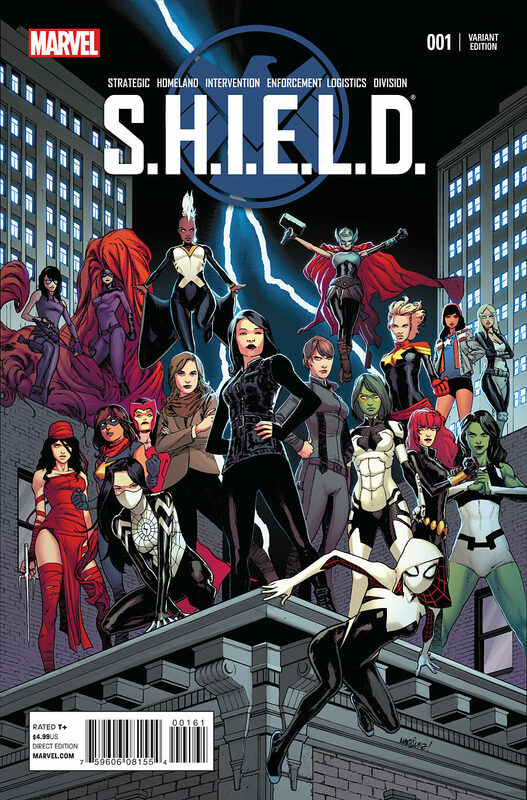 With this and the upcoming Black Widow novel by Margaret Stohl, it looks like you’ll be able to find a lot of the Marvel women on YA bookshelves. 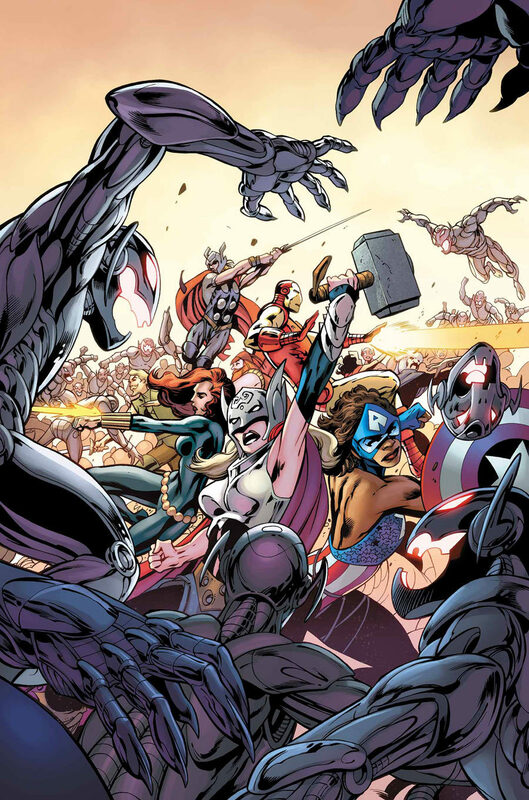 • Asgardia’s Avengers versus the massed forces of Ultron! 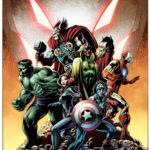 Can the Avengers triumph – or will evil re-take the throne of Odin? 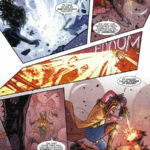 • Plus – the dark secret of Doctor Doom! 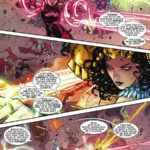 And who is… Earth’s Last Avenger? S.H.I.E.L.D. 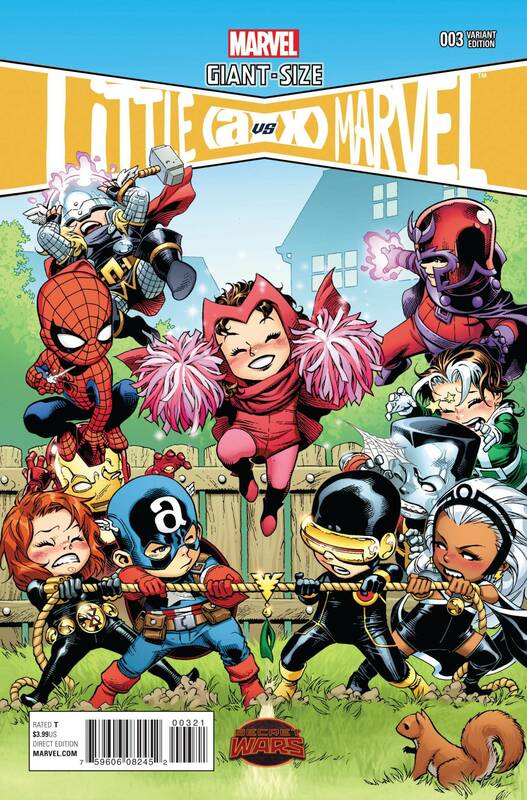 #1 Women of Marvel variant by David Marquez. 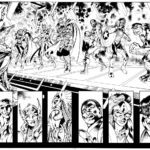 Preview: Ultron Forever by Al Ewing & Alan Davis.